1. Decide on how many guests. When planning your number of guests take into account your child's age, your budget and where you are thinking of hosting your party. If you are inviting your child's school friends, also take into account parents and siblings who may also stay for the party. 2. Decide on your party venue and/or party entertainment. If you need to stick to a budget, set an amount before you start buying supplies or booking entertainment etc. Making and sticking to a party planning checklist will help you keep to your budget and avoid accidental overspending. Choose a fun theme that reflects your child's interests or favourite things. Things such as your child's favourite TV character, story book, superhero or colour are great theme options or you could opt for more traditional themes such as Fairies, Race Cars, Princesses Under the Sea or Circus. Make a rough plan of what food you will serve at the party. Try to keep it simple with a balance of healthy and sweet food options. Remember to also provide food and drinks for the parents/adult guests. Decide whether you are going to make the cake yourself or whether you are going to order a cake from a bakery or cake maker. Party bags/favors are nice way to thank guests for coming to the party and for the card/present they have given your child. There are lots of budget friendly party ideas for party bags with or without lollies. Kids love simple things such as bubbles, stickers, temporary tattoos, pencils or small books and these make great party favors. Work out your basics and then you can get onto your more detailed planning. 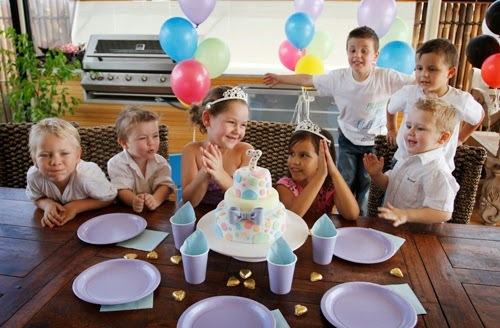 Keep your eye on our blog for our Party Planning Checklist coming soon! Make your Party an Educational Wonderland!